Before I get started, I have a confession to make. I’ve been living around the corner from the Italian restaurant iLPASTO for a few months now, and despite being told by quite a few people to get down there, I haven’t. Why? Well, mainly because as much as I love pasta (and I really do love pasta), I don’t tend to go out to eat it that often; I prefer to make my own. However, since paying the restaurant a recent visit I think that’s all about to change. Waistline, please accept my apologies in advance. 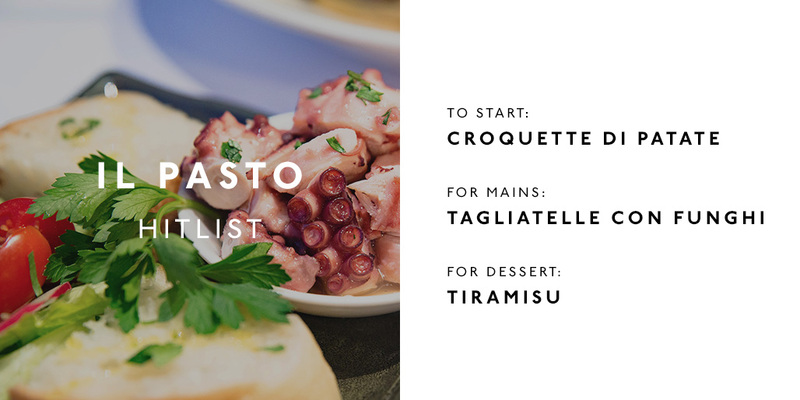 Located next to the post office on the corner of Beaufort Street and Ninth Avenue in Inglewood, iLPASTO has everything you’d expect from a classic Italian trattoria—a warm, family-style atmosphere, relaxed-yet-efficient service, and of course, enough carbs to leave you in a very pleasant food coma. But this isn’t your typical ‘westernised’ pizza / pasta restaurant, in fact, there’s not a pizza in sight. 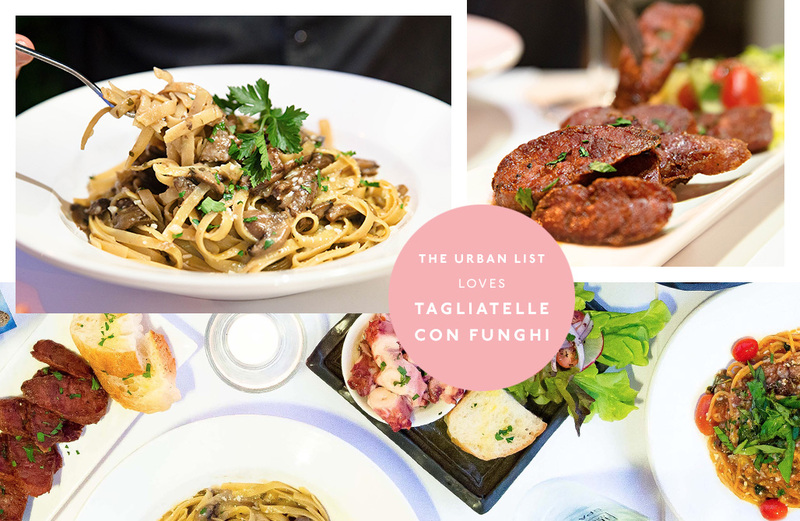 No, the star of the show here is most definitely pasta, with an extensive range of classics like pork & beef lasagna on offer, plus some not-so-classic options, like the Penne Con Cavolfiore with cauliflower and pancetta. Ok, now I have another confession to make. After turning up for our Wednesday night booking and taking a seat at the table, I flipped over the menu to peruse the drinks (read: wine) and immediately realised I had stuffed up. Take note friends, iLPASTO is BYO (wine and beer)—something I neglected to check when I booked online. Such a rookie mistake. Thankfully our very kind waiter was happy to keep our place warm while we ran to the local bottle shop. Crisis averted. Once we were finally settled, glasses of wine in hand, it was time to get to the good part: food. Being a Wednesday night, we were able to choose from the $15 pasta menu (available Monday to Wednesday), and I was super happy to note that there was a number of vegetarian options available—five of them to be precise. But don’t let that put you off, meaty mates, there are still plenty of carne options for you to choose from. And if you’re not into or can’t eat pasta, you can also order from the regular menu on specials night, which includes all the entrees, meat and seafood mains, and desserts. We kicked off our carb-fest with ciabatta and olive tapenade, which sounds fairly unremarkable but the bread was so fresh I just have to mention it. We also selected a side of Croquette Di Patate (fried potato croquettes) for an entree, and what a great idea that was. Three (rather large) croquettes arrived at our table, and as soon as I took my first bite I had the ‘Ratatouille moment’. You know the one, where the evil food critic takes a bite of the ratatouille and is instantly transported back to a happy childhood memory? Yep, these croquettes instantly took me back to a good place, and any food that can evoke a happy memory gets a big tick from me. Memories aside, it’s pretty hard to beat crispy fried breadcrumbs wrapped around smooth, buttery potato. Yum. For mains, we both ordered pasta—Tagliatelle Con Funghi for me, and Spaghetti Alla Puttanesca (sans anchovy) for him. My pasta was perfectly al dente, and the rich porcini mushroom sauce so full of flavour. Same goes for the puttanesca—delightfully al dente spaghetti strands topped with a spicy tomato sauce, brought to life with salty black olives and capers. Needless to say, there was a lot of plate-swapping going on. Which is exactly what I love about good Italian food—it only takes a handful of ingredients and a bit of love to create something extra special, and sharing becomes almost a necessity. To finish off we went with an affogato, but next time I am totally ordering the tiramisu. It looked so fresh and light, and the couple at the table next to us appeared to be very much enjoying theirs. Slight dessert envy ensued, but I managed to get over it. Despite being a weeknight, iLPASTO was filled to capacity—a sure sign that they’re doing things right. So, if you’re planning on paying them a visit be sure to book in advance, and definitely leave your skinny jeans at home—this is a place where true Italian hospitality comes out to play. Mangia!